Insulin peptide hormone. Important drug in treatment of diabetes. 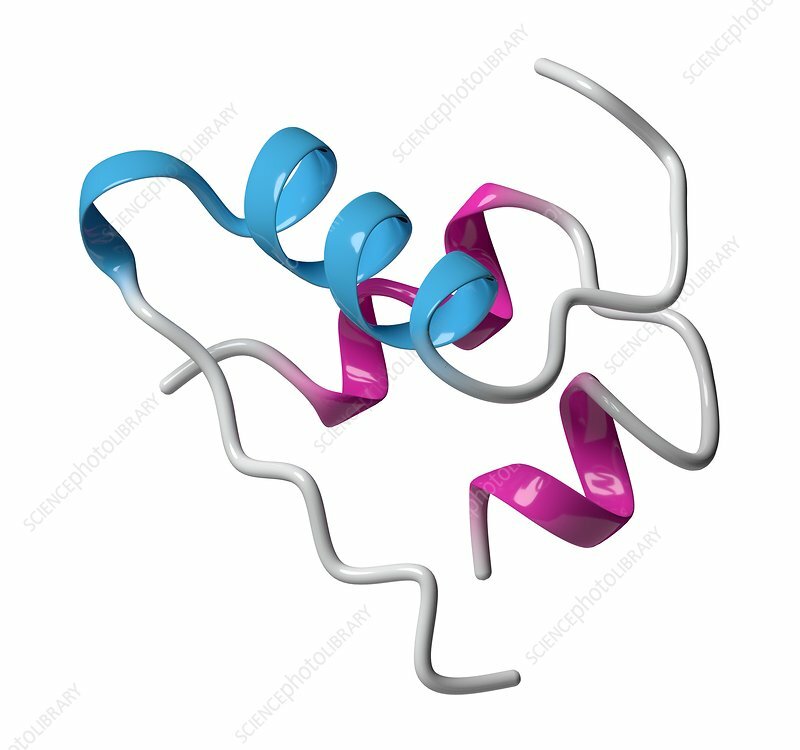 Cartoon model, A chain helices coloured pink, B chain helix blue.